CFL veteran now stars as personal trainer on reality TV. Now one of Canada’s top personal trainers, Tommy Europe has only become more passionate about health and fitness since his playing days in the CFL. The product of Bishop’s University started his 11-year pro football career with the BC Lions in 1993 and lifted the Grey Cup with the team the very next season. 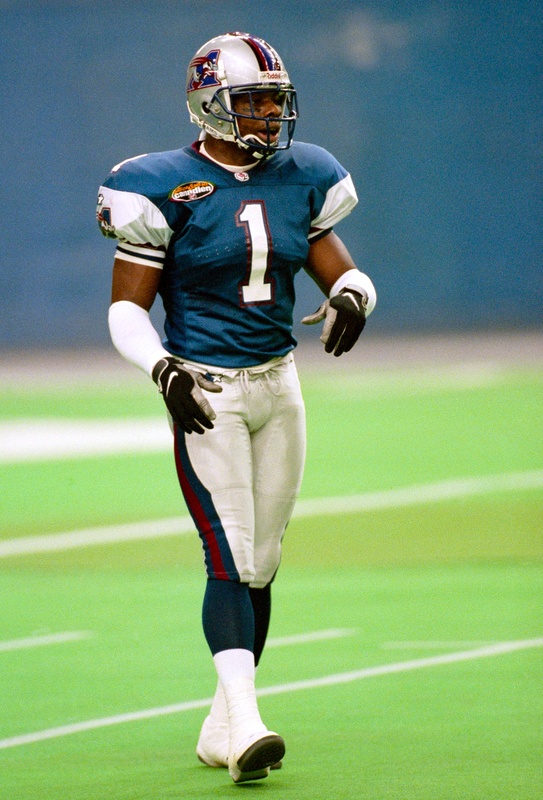 Tommy also suited up for success with the Montreal Alouettes and Winnipeg Blue Bombers, winning all-star defensive back honours in 1995 and 2002. Since retiring from the league in 2003, Tommy has become an honoured member of the BC Sports Hall of Fame, the BC Lions Wall of Fame, and the BC Football Hall of Fame. His athletic credentials firmly in place, the father of two founded Tommy Europe Fitness. What started as a one-on-one personal training program has grown to include services such as corporate wellness, online and group training, meal plans and supplements, and motivational speaking. The venture also inspired Tommy to write a best-selling book, The 10-Pound Shred: From Flab to Fit in 4 Weeks, which was published by Harper Collins Canada in 2011. Tommy’s charisma and sterling reputation as an athlete and trainer made him a natural fit for show business, first as a stunt performer in productions such as Scary Movie 4 and Battlestar Galactica, and then, starting in 2007, as the star and host of Slice network’s The Last 10 Pounds Bootcamp and Bulging Brides. Tommy is similarly passionate about reversing the obesity epidemic among children. 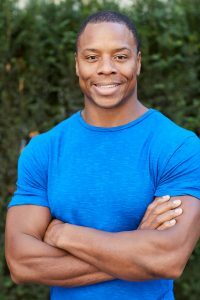 The long-time KidSport Ambassador advocates for safe and effective health, wellness, fitness, and nutrition initiatives for kids, and supports the program with proceeds from his popular bootcamps. In 2014, he received the KidSport Community Champion Award for his tireless volunteer work. Exercise doesn’t have to be a chore. Having fun and working out go hand in hand. Find something active that you enjoy doing — running, cycling, swimming, walking in the park, the list goes on — and do that thing every day until you see results.